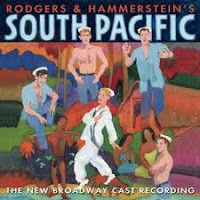 As most theater folks know, August marked two landmark events - the closing of the amazing Broadway production of “South Pacific,” as well as the live broadcast of the show on PBS’s “Live at Lincoln Center.” Many actors my age have a long history with the show, and I am no exception. I’ve done it twice, and prior to watching the PBS broadcast I thought it was 2 times too many. The audition went well...but not well enough. 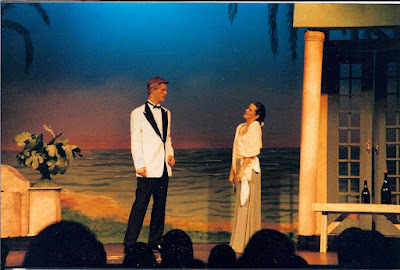 Despite starring in almost every show at school, this time I was cast as the offstage understudy (meaning: I didn’t even get to be in the show.) It was devastating. I spent 1.5 months sitting at rehearsals watching someone else play the role I was dying to play. But I have already given away the ending - I did end up playing the role. The original actress got a part in another production off campus, and with only a couple of weeks before opening I was offered the leading role. 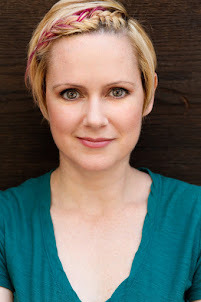 It was an understudy’s dream come true! That's right- my natural hair color is brown! The show was great- I got some fun reviews in the local paper, and I got my first taste of leading a major musical. But the themes of the show didn’t really resonate with 17 year old me ... and my fellow actors and I started calling the show “So Pathetic.” I swore that I would never, ever do the show again. Fast forward 13 years and I was approached to audition for the show again. This time, I had no chance at the leading role because the role had already been cast. But I had been dying to work with this director so I was happy to take on the role of a nurse. Of course, throughout the rehearsal process I sat watching the leads rehearse and thought, “Man, I wish that were me!” I have an amazing memory for dialogue, so I would unconsciously mouth the words as our Nellie went through her scene work, remembering what it had been like to deliver those same lines so many years earlier. Can you spot me? Remember that I used to be a brunette! During our last tech rehearsal, the day before we brought in the full orchestra, I noticed that the production staff was huddled in the corner with worried looks on their faces. They were talking in hushed voices and looking around the room nervously. I saw the director look my direction, and when her eyes locked with mine a look crossed her face as though a light bulb went off. It wasn’t long before she called me over, and explained what the hub-bub was about. The actress playing the lead role of Nellie had unexpectedly left town - her father had fallen ill and she asked to be released from the show until his prognosis improved -- which could take hours, days or weeks. Trouble was, we were opening in 4 days (with an invited dress in 3 days) and the production did not employ understudies. They were in danger of closing the production unless they could find someone to temporarily cover Nellie... and quickly. So... why was I called over? Well, the director remembered that I had played the role before and she thought I would be the perfect person to bail them out of this sticky situation. And, of course, I said yes. My first rehearsal as Nellie was the full orchestra rehearsal. The most nerve-wracking part of it was not the actual singing of material - that was easy. It was walking onto the stage, grabbing the microphone and dealing with the incredulous stares of the other principal actors... because the director had not yet made an announcement that the lead actor was out of town! So, it was quite awkward to stand there with these actors, with whom I had never rehearsed, while they wondered what the heck I was doing there. Once that was ironed out, singing through the show with the orchestra was thrilling! Rodgers & Hammerstein has created an amazingly beautiful score, and our large amphitheater (which seated almost 3000 people) sounded incredible. At the end of the rehearsal, the director and music director expressed how grateful they were for my help, and then gave me an update. The lead actress still had not returned, and they needed me to do the first full dress rehearsal the next day. The pressure was on - dress rehearsals involve so many things - costume changes, blocking, choreography, entrances & exits, and not to mention being off book. But remember that I had been watching rehearsals with an eagle eye, and luckily the blocking and lines came to me easily. I was on top of the world - talk about the illusion of the first time! The last part of the show, of course, was the curtain call, and Nellie has the final bow after all of the other actors. 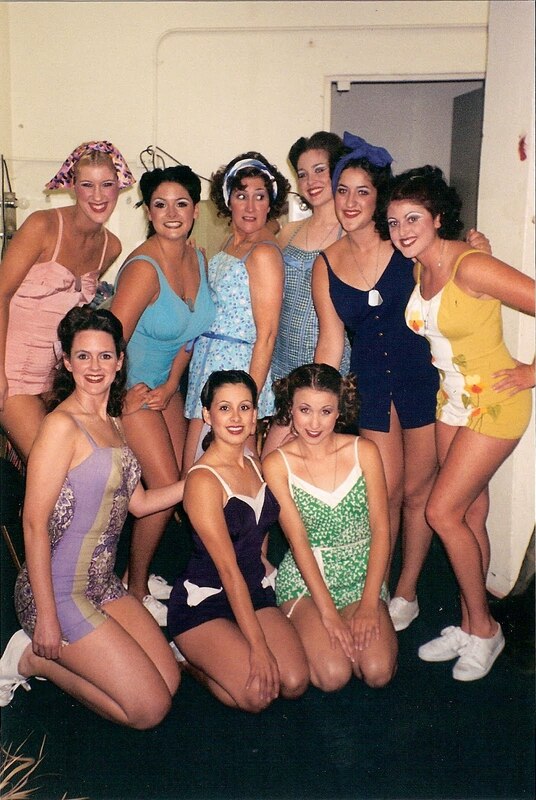 That day, after performing the role for the very first time with no prior rehearsal, I went down to the front of the stage to take my bow, and the enter company erupted into applause and cheering. They surrounded me with hugs, high fives, and huge smiles, and the production team stood in the audience, on their feet, and cheered along with them. I have never felt such powerful appreciation in my life, before or since. It was incredible. The good news for the production (but bad news for me) was that the actress came back right before the show opened. I really wanted to be able to do the run of the show, but was so thrilled that I was asked to fill in last minute. And it really proved to me that I can do just about anything I set my mind to. I will never forget that production.